Looking to list your home? Or perhaps it is listed now but not getting a lot of interest? Read below for some easy tips to help your home stay show ready. Before it can sparkle, it has to be sparse. Remove unnecessary clutter as it can be a distraction and deterrent for potential buyers. Clean and stage the home. Potential buyers want to envision themselves in the home. They can’t easily do that if all your stuff is in the way or if the home is dirty. Remove a lot of unnecessary clutter and decor. It is advisable to put away family photos if you have a lot of personal images used in your home. Easily touch up any dings in the wall with touch up paint. Manage your trash. People don’t want to see spills or dried food on the table, dirty dishcloths on the counter, or dirty clothes on the floor. Be sure to put garbage cans or bags away and out of sight. If you devalue your home, potential buyers may put in lower offers, resulting in you losing money on the sale. Clean windows and remove obvious smudges from window panes. Open drapes and shades to let in natural light and brighten the home. Plug in air fresheners are highly recommended throughout the home. If you get a last-minute request for a showing, you will need to prioritize to get the home ready - especially if you have little ones at home. If you do have young kids at home, allow them to watch a movie or keep them otherwise occupied while you whip the home into a show-friendly state. 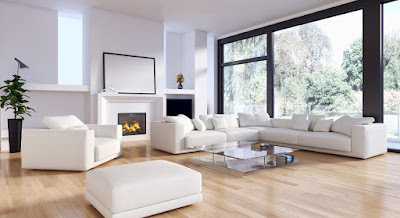 Allow yourself 5 minutes per room and focus on the main items that potential buyers will see. Most of your efforts should focus on the kitchen. The kitchen should always be clean. Most potential buyers understand that people live in the home, so a minor amount of dirt or clutter can be overlooked. But, for a faster sale of your home, the cleaner it can be and the less clutter strewn about is best when showing your home. Buyers need to see themselves living in the home. Clean kitchen counters by removing small appliances and unnecessary decorative items. Wipe up spills or messes from tables, counters, and floors. Plug in a room freshener to keep any common kitchen smells at bay. The bathrooms should also always be clean. Clear bathroom counters by putting away toiletries and picking up after yourself each day. Remove dirty towels and hang clean towels before a showing. Sweep up hair that may be on the floor and wipe counters. It doesn’t have to be perfect, but buyers don’t want to see your personal stuff or dirty towels in a bathroom. Make your bed every day. If you are not already in the practice of doing this, it is advisable to start doing this while you are showing your home. The bed is the largest piece of furniture in most bedrooms and is the first thing most potential buyers see when they enter a bedroom. An untidy bed can make the whole room look messy and turn buyers away. Be sure to pick up dirty laundry and keep the room clear of clutter. Buyers want to know the current home owner cares for and maintains the home before the buyer strongly considers the investment. Consider your other home spaces. Keep these spaces clean. This includes the home office, garage, basement, storage areas, attic storage, laundry room, closets, family room, dining room, and any other home spaces. Implement the same procedures for cleaning and maintaining these spaces as you do the rest of the home. Serious potential buyers will look in all spaces and places during a showing. You want to show the best of your home and having it ready to show puts your best foot forward to ensure less time on market and encourage offers. If selling during the summer months, keep the yard clean and maintained. Consider adding some potted plants to the walkway or front entry to increase your home’s curb appeal. If you have a clean, de-cluttered home but you’re still not getting interested buyers, consult your Realtor. It may be the timing and the market, or you may have to reconsider your listing price strategy. 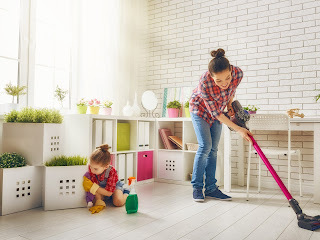 By simply taking small steps throughout the day to pick up after yourself and clean throughout the course of your day, you can easily keep your home in show ready shape. If everyone in your family pitches in, it will be even easier to always have the home ready for potential buyers. Even if you and your family do not live this way normally, it is good to remember that you are trying to sell your home. You will need to keep your home clean for showings to ensure your home does not sit on the market longer than necessary. Remember to talk with your Realtor and get any additional recommendations to help with getting your home show ready. Your Realtor is experienced and will help you throughout the full home selling process. Just getting started? Contact us to speak with a Realtor today.